Use Kyusyu Express Way to south. Exit at Kumamoto. 57 to 325 to Takachiho. 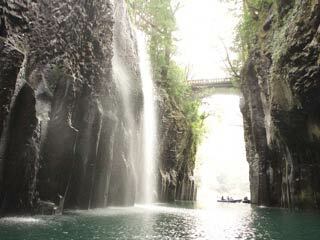 Use Express Bus Gokase to Takachiho.